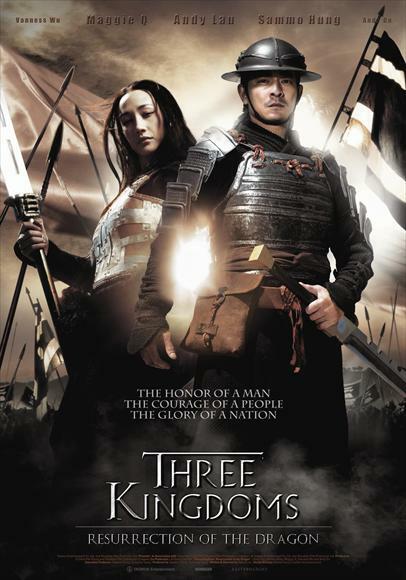 “Three Kingdoms: Resurrection of the Dragon (2008)” movie review. 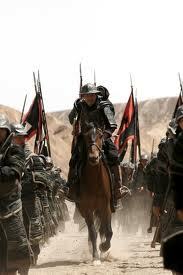 Plot: Zhao Zilong (Andy Lau) joins the military of Liu Bei (Elliot Ngok) in order to help end the war between Liu Bei and Cao Cao (Damian Lau). He befriends and serves under Ping’an (Sammo Hung) and the two begin to rise in the ranks. However, Zilong soars past his friend and becomes one of the top Generals. Yet the war continues to rage for years, leaving China divided. To make matters even more complicated, Cao Cao’s daughter, Cao Ying (Maggie Q) turns out to be even more deadly than her Father, so will our protagonist ever find peace? When the production of “Red Cliff” was first announced, heads were turned. It would be based on one of the most iconic novels in China, so that in itself would be enough to capture peoples interest. But more noticeably, the studio was intent on making this the biggest Hong Kong epic of all time. It would boast a budget of $80,000,000, which made it the most expensive film to date. It would be full of big stars and respectable actors, not to mention the huge comeback for (director) John Woo. But whereas the masses were in awe of its ambitions, a few producers grinned, rubbing their hands together in an evil fashion. Why not make a movie which was also based on the same novel that would cash in on its success while costing a fraction of the budget? The idea was perfect! That’s how I presume “Three Kingdoms” was born. It’s an okay movie, but you get the feeling that greed was more of a driving factor instead of the art. I personally suspect that in order to be released before “Red Cliff“, “Three Kingdoms” suffered a hasty production, which is the primary reason for its faults. Ironically, this does eventually give the movie its own flavor. I’ll discuss why the story and action are both rushed in later paragraphs, but let me also say this. I don’t think I’ve ever seen an epic like this so tightly paced. Most of these kinds of movies tend to be bogged down by clunky love stories, complicated political intrigue and lots of set-up. “Three Kingdoms” seems more interested in focusing on the war. 90% of the film is dedicated to characters either participating in battles or preparing plans for said battles. Yes, it occasionally dabbles in something else, but it’s back to the war before you even start to notice. Since all of the strategies interested me, I can’t say I was ever bored. Remember this, because we are about to experience some heavy turbulence. The screenwriter(s) either forced so much material in there that the story had no room to breathe or they just didn’t have the time to explore the characters. Andy Lau does a superb job as Zhao Zilong, even when he’s much older. But we never really get to know the guy. In China, he’s legendary. In the film, he’s legendary. But what about the man behind the myth? We never really understand why he is doing what he does. The film actually does a better job at fleshing out Ping-an (Sammo Hung) and the primary antagonist, Cao Ying (Maggie Q). You know who they are and understand why they do what they do. They are much more human than Zhao Zilong, who is perfection incarnate. Hell, Ping’an is surprisingly complex, torn between his affection of Zilong and his envy of him. Maybe the movie should’ve focused more on him. The script oddly spends some time with a love interest (about five minutes) before dropping that subplot completely. I presume that she was supposed to be the key to understanding the protagonist, but it’s so weakly handled that the point is lost. The story has no heart, although Lau and Hung are so sincere in their performances that they mostly redeem this. One thing I appreciate about the script is that they spend a little bit of time developing the enemy side, which was a nice touch. You’re left with the impression that both sides were after the same thing. The action varies from pretty good to utterly incomprehensible. 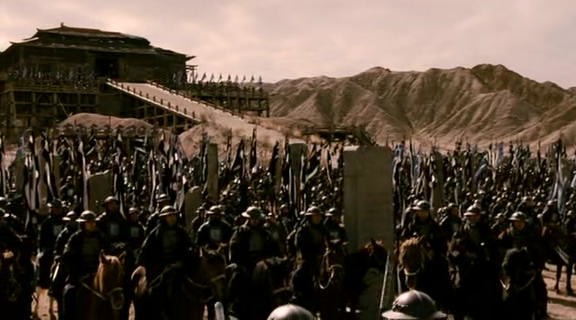 For the most part, “Three Kingdoms” relies on large scale, epic battles between two opposing armies. The camerawork is just too jittery and the editing is too tight, so it really becomes difficult to tell who is who or what is going on. Instead of going the “Red Cliff” or “Curse of the Golden Flower” route by relying on gorgeous wide shots that showcases all of the action, “Three Kingdoms” wants to be up in your face with close-ups. Sometimes it works, other times it doesn’t. With that said, the fights that focus on a single individual are pretty riveting. There’s nothing spectacular about the choreography, but the film does manage to be edgy. One sequence has Zhao Zilong fighting off an entire army with a baby on his back. You’ve seen the moves before, but there’s something more raw about them. You really feel what’s at stake. Furthermore, the film breaks up the incomprehensibility with the occasional, beautifully framed shot or a really smooth stunt. I also loved the score, which seemed to borrow from spaghetti westerns at times. It was very moving. So the muddled action and underdeveloped script can probably be attributed to the hurried production. There just wasn’t enough time to make it without allowing its rival to come out first. Either that, or the filmmakers are incompetent. As the writer and director are both fairly accomplished, I’d like to think the former. The problem with a movie like “Three Kingdoms” though is that it falls through the cracks created by better films that explore the same territory. “Red Cliff“, “Red Cliff 2“, “The Warlords” and “Little Big Soldier” are superior films that surpass “Three Kingdoms” visually and dramatically. They have better battle sequences and fight scenes as well, so you should watch those films first. But that’s not to say that this totally fails in all of these regards. “Three Kingdoms” is okay. Its contemporaries just happen to be better. Violence: Some blood spurting and brutal moments. It’s enough to earn an R.
Overall: “Three Kingdoms: Resurrection of the Dragon” is an ‘almost good’ movie, worth watching if you like these kinds of epics but not worth getting your hopes up for. “Special ID (2013)” movie review. “Rise of the Legend (2014)” movie review.